Be it a startup or a well-established business, the recruitment process is always a grind. The employers often find themselves wasting time on the candidates that are not fit for the job in the first place. For businesses, pacing up in the market is always a top priority and spending unnecessary time on candidates is the last thing they should be doing. 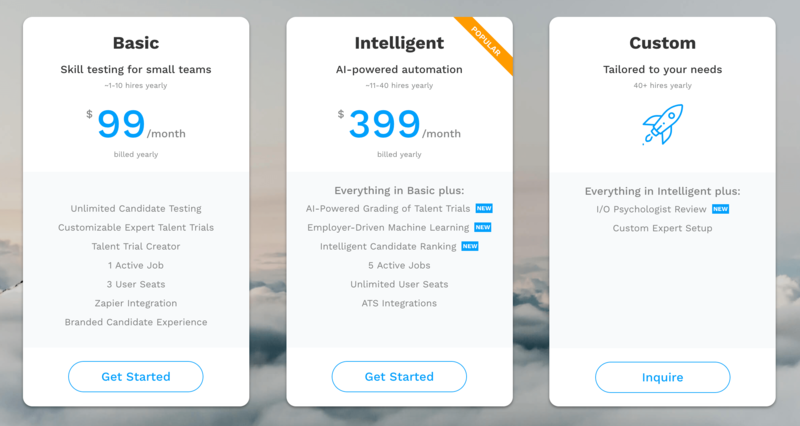 Vervoe is an AI solution that makes recruitment easy for you. Just as AI is replacing office assistants, this one is one of its another major leap into the job market. Vervoe is transforming the hiring process and is all set to be used worldwide. Unsure about its use and reliability? Worry not! Our detailed review will cover everything from how to use to it to its benefits and shortcomings. Vervoe is an app which works pretty much like a social media platform except that it is for job seeking purposes. Register yourself by setting up your company’s profile. Once your profile is created add jobs for recruitment. Setting up the interview process is very easy. A variety of on-the-job simulations and interview scripts are available. Choose the ones you need and you are good. You can edit the job simulations and interview scripts according to your job requirement. Moreover, you can also add tasks that you would like your potential employee to do for evaluation. Publicize your ad on different social media platforms and candidates can get started with the interview right away. Yes, it is that easy! As soon as anyone signs up for the job, you will be notified. You can also view their responses and rate them, once they are done with their interview. You decide who proceeds to the next step and who does not. Also, sharing the status of the candidate’s application is at your discretion. After this step, you can invite the finalists for an in-person interview without having to waste time spending on all the candidates that signed up for the job. Imagine how much time would have been wasted otherwise. For a single job, Vervoe costs $99 per month (which is very reasonable, considering the amount of time it saves you). It also offers a 14-day free trial. It also provides unlimited access to multiple company users who can easily assess candidates’ interviews. Furthermore, it provides you with a custom option where you can create a package that meets your needs. So, the large-scale businesses are not bound to the 3 set packages and always have the option of creating a custom one. Its pre-employment features include a series of tests for evaluating the skill set of the candidates. Also, it provides various candidate comparison and management tools to facilitate the employer even more. The interface is user-friendly and very well designed. For those who are new on Vervoe, a complete guide is also available to help them out at every step. Candidate progress can be easily monitored as well as managed through real-time status updates that keep the whole recruitment team up-to-date. Without any second thought, promoting your job opportunity is also an important step. The app offers Greenhouse integration that can work as an advertising platform for you. This will help you share your vacant post and have a wider outreach. It also offers Zapier integration that enables you to connect apps and automate tasks for you. Moreover, it is integrated with Facebook, Twitter, and LinkedIn which are the busiest social media platforms on the market. Unfortunately, Vervoe is currently only available in English. We don’t know whether they are expanding their utility in other non-English speaking countries or not. Customer support is available in business hours online via live chat and email. The support is quick to respond in business hours. The team is very receptive to every kind of feedback and keeps improving based on the feedback which is amazing. Vervoe does not have an option to delete the old applicants taking unnecessary space. Moreover, it allows you to use the app for one business at a time. For multi-business owners, this is a downside. The app is comparatively new and we hope some of the things stated above are taken into consideration. Vervoe is a win-win for the employers as well as the employees. One of its major advantages is the removal of every kind of bias that may exist at the time of recruitment. Online interviews and on-the-job simulations through AI make sure that only the best, based on their merits and skill set proceed further. This, in turn, develops trust between the employer and its employee from the beginning. 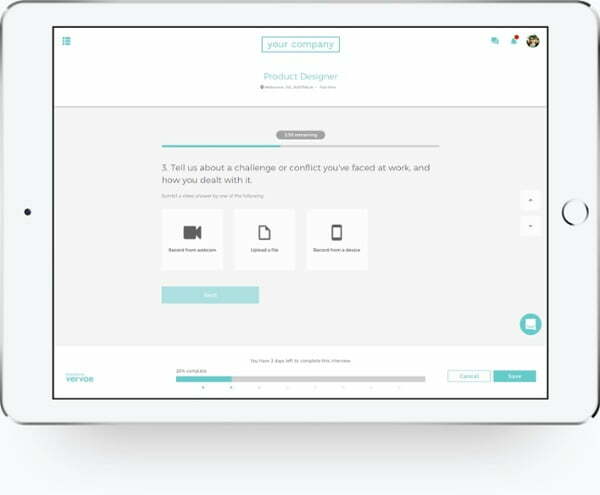 Furthermore, It seamlessly automates interviews which saves you from the ordeal of arranging as well as taking in-person interviews with literally everybody who signs up for the job. 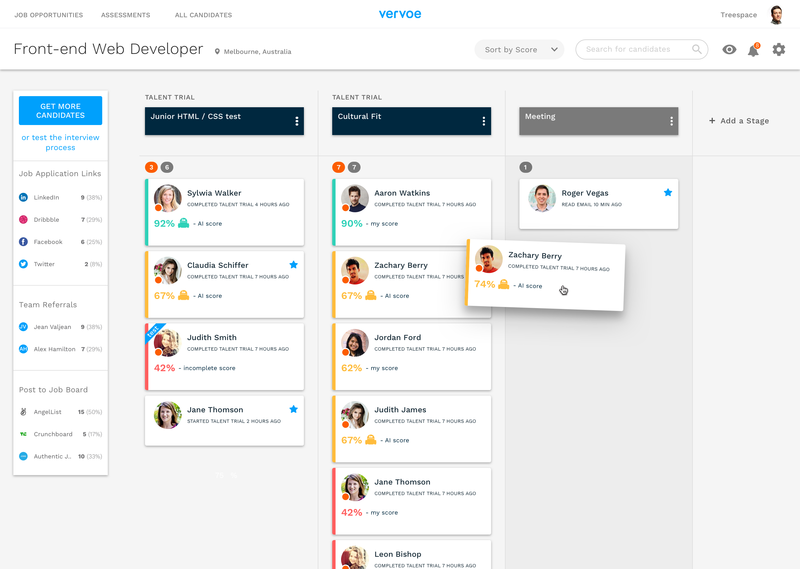 AI is revolutionizing the way we work and Vervoe takes it to next level by picking the top talent out there to work for you.